A number of obstacles to a free trade agreement remain on both sides, but there is growing incentive to overcome them. Canada and the Republic of Korea have been negotiating a bilateral Free Trade Agreement since 2005. Eight years on, no agreement has been reached. In fact, the negotiations have been on the shelf for the past five years, but that hiatus ended last week when Canadian negotiators arrived in Seoul to discuss restarting the stalled talks. This was the first concrete manifestation of an agreement reached between Prime Minister Stephen Harper and President Park Geun-hye at the APEC Summit in Bali in October to restart the negotiations and strive to complete them by the end of this year. That is unlikely to happen but it has been a sore point for many in Canada that both the U.S. and the EU began negotiating their free trade agreements with Korea after the Korea-Canada negotiations had already begun, yet both concluded their agreements fairly quickly (although it took almost five years for Congress to ratify the Korea-U.S. Agreement) and both are now in effect. U.S. and EU exporters are enjoying preferential access to the Korean market while the Canada-Korea agreement is still in limbo. As a result, Canadian producers of pork and beef, to name the most prominent examples, are severely disadvantaged in terms of market access, with Canadian pork facing tariffs on 25 percent on frozen pork and 22.5 percent on chilled pork while most U.S. pork will enter Korea duty-free by 2016. 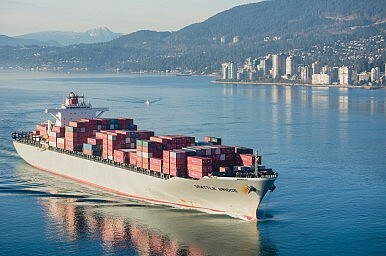 It is not surprising that Canadian exports to Korea fell 30 percent in 2012. Why has a Canada-Korea agreement proven to be so elusive? There are several reasons, and both sides bear some of the blame. In Canada there has been visceral opposition from the auto industry, particularly the unions. The Canadian Auto Workers union, now known as Unifor, has mounted an active public campaign against any trade deal with Korea, arguing that it would mean the destruction of 15,000 jobs, including several thousand in the auto sector. It is worth noting that it was the auto sector that held up Congressional approval of the Korea-U.S. (KORUS) agreement for almost five years, but in the end a compromise was reached. Despite much talk about improved market access for U.S. vehicles to Korea, the essence of the deal was a delay in the removal of U.S. tariffs on Korean autos and trucks and a provision for the re-imposition of tariffs should Korean auto exports to the U.S. surge significantly. While the auto industries in Canada and the U.S. are not identical, they involve essentially the same players and it is hard to conceive a scenario where an acceptable compromise could not be found, if the political will was there. Korea does not build cars in Canada, although it used to do so (Hyundai shuttered its plant in 1993), but several Japanese manufacturers currently have assembly plants in Canada. These manufacturers, along with the Big Three of GM, Ford and Chrysler, are concerned about imports of Korean vehicles that currently face a 6.1 percent tariff. However, Canada and the EU have just agreed to phase out the same import tariff on European vehicles, so the writing is on the wall for the industry in Canada. This protection will not last indefinitely. On the Korean side, there seemed to be a complete loss of interest in Canada once the deals with the U.S. and the EU had been completed. This was complicated by the situation of Canadian beef, which was banned in Korea on BSE concerns. Despite steps taken by Canadian producers to ensure the integrity of the product, Korea refused to lift the ban, resulting in Canada launching a case at the WTO. This was finally resolved and Korea lifted the ban in 2012, but it left a legacy of mistrust. The U.S. has had its own beef issues with Korea but still enjoys significant market access and preferences under the KORUS. Canada wants the same terms, but does not have the same negotiating leverage as the U.S. Thus the negotiations were put on ice. There have been repeated calls in Canada for the negotiations to resume, and not just from agricultural producers. Korea is seen as an important bilateral partner for Canada both strategically and economically. There has been a long history of cooperation between the two countries going back to Canadian participation in the Korean war. Now that Korea appears to be ready to take the plunge and join the Trans-Pacific Partnership negotiations, this could also help break the logjam on the Canada-Korea talks. While Korea has been active in promoting bilateral agreements, including the China-Korea leg of the China-Japan-Korea triangle, it has been cautious about entering the TPP because of traditional protectionist concerns regarding its agricultural sector. If Korea can achieve sufficient national consensus to join the TPP, however, closing a deal with Canada (which is also part of the TPP process), should not be insurmountable and indeed would facilitate Korea’s entry. All TPP countries have to agree to new entrants and it would be surprising if Canada did not exert some pressure on the Koreans as part of the price of entry, just as Canada was required to agree to a number of conditions when it joined the negotiations part-way through the process, in September of last year. While Canada does not loom large as a bilateral trading partner with Korea (Canada took just 0.9 percent of Korea’s exports in 2012 (Brookings), Korea is Canada’s seventh largest export market and the third largest in Asia. Moreover, Korea has strong interests in developing a major LNG terminal in British Columbia in partnership with PetroChina and Mitsubishi, and Canada has long been a source of coal and other raw materials for Korean industry. It makes sense for both parties to get beyond the current impasse and strengthen not only their economic relationship but the political and strategic relationship as well. Successful conclusion of a Canada-Korea Free Trade Agreement, in addition to closer plurilateral ties if Korea follows through with its announced intention to join the TPP, will achieve this goal. The thaw has begun. Will it be enough to melt the obstacles that have kept things on ice until now? The chances are better now than at any time in the past five years. Stay tuned. Hugh Stephens, Principal of TransPacific Connections, is Executive-in-Residence at the Asia Pacific Foundation of Canada and a Fellow of the Canadian Defence and Foreign Affairs Institute (CDFAI).